1. Bear, Abide, Brook, Digest, Endure, Put Up, Stand, Stick Out, Stomach, Suffer, Support, Tolerate : سہنا - جھیلنا : (verb) put up with something or somebody unpleasant. I`m sorry you had to bear it. I cannot bear his constant criticism. Accept, Live With, Swallow - tolerate or accommodate oneself to. 2. Bear : ریچھ - بھالو : (noun) massive plantigrade carnivorous or omnivorous mammals with long shaggy coats and strong claws. Carnivore - a terrestrial or aquatic flesh-eating mammal. 3. Bear, Birth, Deliver, Give Birth, Have : جنا - جننا : (verb) cause to be born. Conceive - become pregnant; undergo conception. 4. 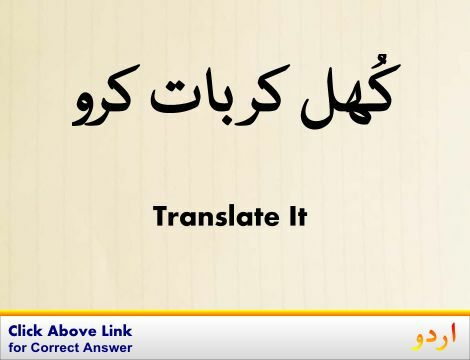 Bear : لے کر چلنا : (verb) move while holding up or supporting. Carry, Transport - move while supporting, either in a vehicle or in one's hands or on one's body. 5. Bear, Turn Out : دینا : (verb) bring forth,. 6. Bear, Accept, Assume, Take Over : دوسرے کا بوجھ اٹھانا : (verb) take on as one's own the expenses or debts of another person. 7. Bear, Carry, Contain, Hold : اپنے اندر رکھنا : (verb) contain or hold; have within. Include - have as a part, be made up out of. 8. 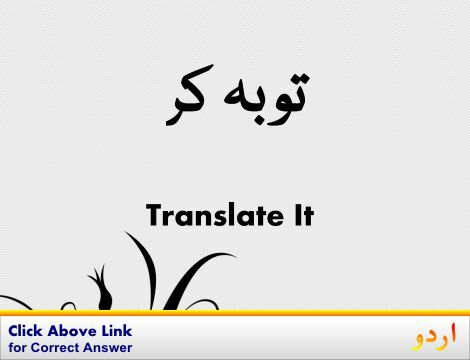 Bear, Acquit, Behave, Carry, Comport, Conduct, Deport : اصلاح کرنا : (verb) behave in a certain manner. Bear, Carry, Hold - support or hold in a certain manner. 9. Bear, Hold : پاس رکھنا : (verb) have rightfully; of rights, titles, and offices. She bears the title of Duchess. 10. 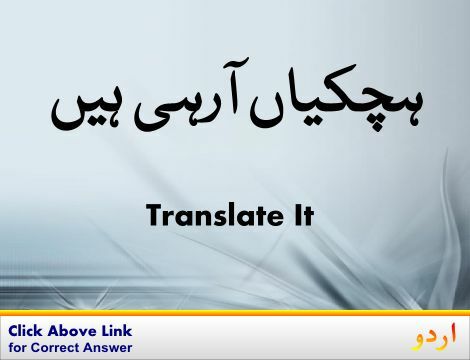 Bear, Carry, Hold : کسی انداز میں رکھنا : (verb) support or hold in a certain manner. Piggyback - support on the back and shoulders. 11. Bear, Carry, Expect, Gestate, Have A Bun In The Oven : حمل اٹھانا - حاملہ ہونا : (verb) be pregnant with. She is bearing his child. Pediatric Injectable Drugs: The Teddy Bear Book. Bear Tales for the Ages: From Alaska and Beyond. A Polar Bear in the Shower. Claw : پرندوں کا پیر : a bird's foot. Coat, Pelage : جانورں کی کھال : growth of hair or wool or fur covering the body of an animal. Mammal, Mammalian : دودھ پلانے والے جانور : any warm-blooded vertebrate having the skin more or less covered with hair; young are born alive except for the small subclass of monotremes and nourished with milk. Massive : ٹھوس : consisting of great mass; containing a great quantity of matter. "Earth is the most massive of the terrestrial planets"
Shagged, Shaggy : ناہموار : having a very rough nap or covered with hanging shags. "Junipers with shagged trunks"
Bear Down : خاص توجہ دینا : pay special attention to. Bean : انسانی سر : informal terms for a human head. How this page explains Bear ? It helps you understand the word Bear with comprehensive detail, no other web page in our knowledge can explain Bear better than this page. 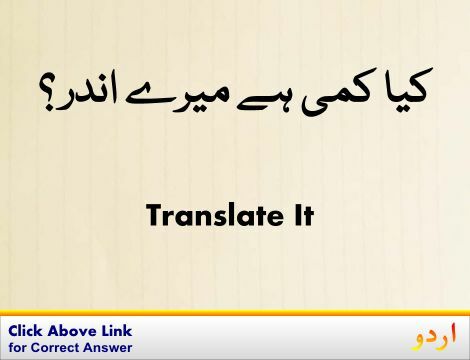 The page not only provides Urdu meaning of Bear but also gives extensive definition in English language. The definition of Bear is followed by practically usable example sentences which allow you to construct you own sentences based on it. You can also find multiple synonyms or similar words on the right of Bear. All of this may seem less if you are unable to learn exact pronunciation of Bear, so we have embedded mp3 recording of native Englishman, simply click on speaker icon and listen how English speaking people pronounce Bear. We hope this page has helped you understand Bear in detail, if you find any mistake on this page, please keep in mind that no human being can be perfect.